This magnificent wonder of the world deserves a special mention. Machu Picchu means “old mountains” in Quechua. It is one of the most famous tourist attractions of Peru and a must to visit. Machu Picchu was built around 1459 and 1460, and was abandoned after the Spanish colonization. It was discovered scientifically in 1911 by the American Hiram Bingham. It was recognized as World Heritage in 1981 and 2 years later was included in the 7 Wonders of the World. It is estimated that during its life in Inca period no more than 800 people lived there. It is located in Cuzco (in the town of Aguascalientes). It’s an example of Inca architecture. It has a set of palaces, military towers (suntur wasis) and viewpoints, which rise between the peaks of Machu Picchu (old summit) and Huayna Picchu (young summit). It’s a work set in an incomparable natural environment. If you are thinking of visiting Machu Picchu, the best time of the year is from April to October, so one avoids the rainy season. You can contemplate the Inca Trail in a comfortable way avoiding bad weather and above all be able to see the sunset from the top. It is recommended to buy tickets in advance. The purchase can be made online through the website of the complex. 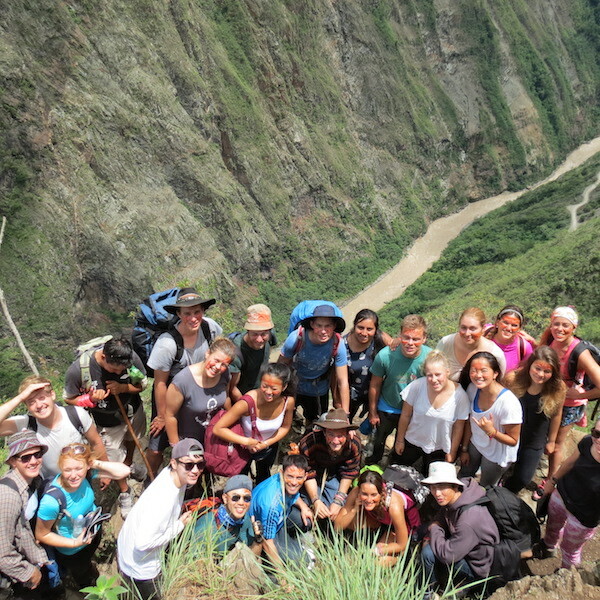 Inca Trail: It’s an adventure that can last up to 4 days, but it’s worth it, as you can see the trails and paths that the Incans used to get to Machu Picchu. It’s advisable to look for a company that organizes these trips and you should also be in good a physical condition. By train: This is another option you have. You leave from Cuzco which takes you directly to Aguascalientes, which is one of the closest towns to Machu Picchu. 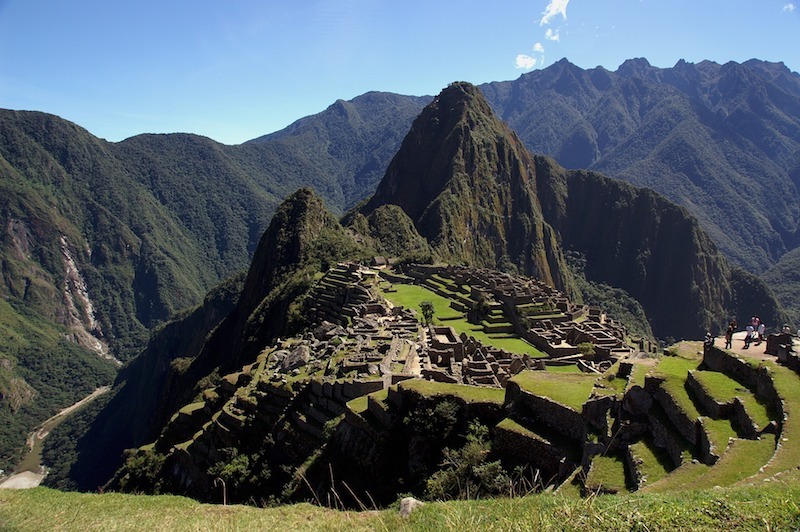 Visits to Machu Picchu are usually from 6:00 a.m. to 12:00 noon. 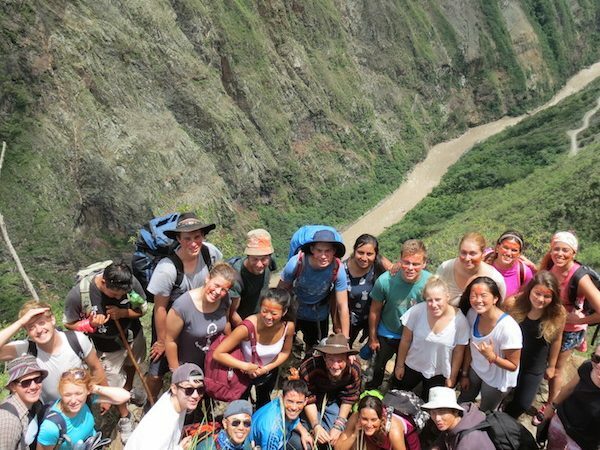 HOW MUCH DOES IT COST TO ENTER MACHU PICCHU? WHAT ARE YOU ALLOWED TO WEAR WHEN YOU’RE AT MACHU PICCHU? WHAT CAN’T YOU WEAR WHEN YOU GO TO MACHU PICCHU? There is a lot to say about this wonderful place, so we hope that these small facts will help you organize your trip to Peru. If you have any questions or queries you can contact us at info@adventurevolunteer.org or via the contact form.